A road slices through the tundra — a very good-quality highway stretching from Murmansk to the Norwegian border and beyond. Murmansk Oblast and Norway’s Arctic county of Finnmark are almost like two halves of a children’s spot-the-difference game. They’re inevitably compared and contrasted, typified as they are by the same fundamental topographic features: the same autumnal reds and browns of the tundra, the same gently sloping hills, the same dwarf birches, the same deer and Sami people, the same fjords (which, in Russia, are modestly called “inlets”; Murmansk itself is on a fjord, after all — it’s just a case of bad PR). Against this identical background, the differences between the two regions stand in stark relief. People on either side of the border have completely different conditions and ways of life. Murmansk, an Arctic metropolis of 300,000, produces a dismal impression. Blocks of flats are scattered along the inlet with its semi-functioning docks. Two hundred kilometres of picturesque tundra separate the city from the border. You might encounter the odd military installation with soldiers marching around the drill square, or a frozen industrial leviathan surrounded by clusters of depressing Khrushchev-era apartment blocks. 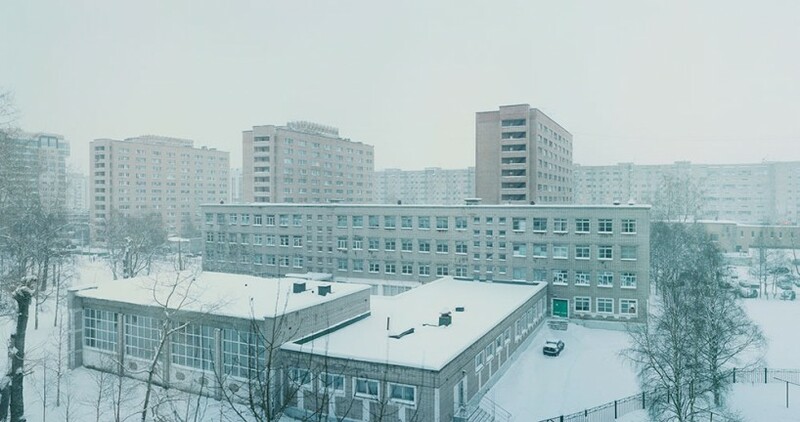 Murmansk Oblast has a population of 700,000 people, almost all of whom live in towns where concrete grey dominates the colour palette. Finnmark is home to a tenth of that number. A tenth. In this entire fylke, or county, in all its towns, villages and farmsteads live a mere 70,000 people. Your senses, however, suggest the reverse: it seems as if you’ve left behind a lifeless desert and crossed over into densely populated lands. The landscape is dotted with little brightly coloured houses. Lakes and fjords are lined with jetties and boats. Every small town boasts its own airfield. Even settlements of fewer than a thousand people have malls, banks, cafes and hotels. There’s plenty of foreigners: people come here to fish, and stay to live. Simplified Norwegian regulations allow Australians, Slovenians and other foreigners to do just that. In neighbouring Russia, complains the wife of a fishing-boat captain, private fishing is almost impossible. Her husband ships his fish to the Norwegian town of Tromsø — things are simpler there, and you don’t need dozens of official documents. In Norway you have the right to prepare chilled fish for distribution, but in Russia the fish must be frozen. The woman shakes her head: and then sanctions get introduced, she says, and now you can’t ship in chilled fish — which is effectively ours — from Norway either. Murmansk’s fish processing plant has stopped production. A ticket from Moscow to Oslo, incidentally, is half the price of one to Murmansk. Murmansk isn’t expecting any tourists. To get to its one big landmark — the huge Alyosha monument, dedicated to Soviet soldiers who perished in World War II — you have to take an ordinary bus and then traipse up a pavement-less road. The city, by and large, isn’t expecting anything at all. Marina Kovtun, the United Russia candidate, has been re-elected once again. Her election posters boast about dozens of parks laid out in the city, and occasionally these posters are plastered right on the fencing of the boarded-off parks. Needless to say, work on them wasn’t completed in time for the election. The city is almost devoid of foreigners. Norwegians do sometimes make it this far across the border — when they’re after a drink; returning Norway-based Russians are encountered more frequently, though. 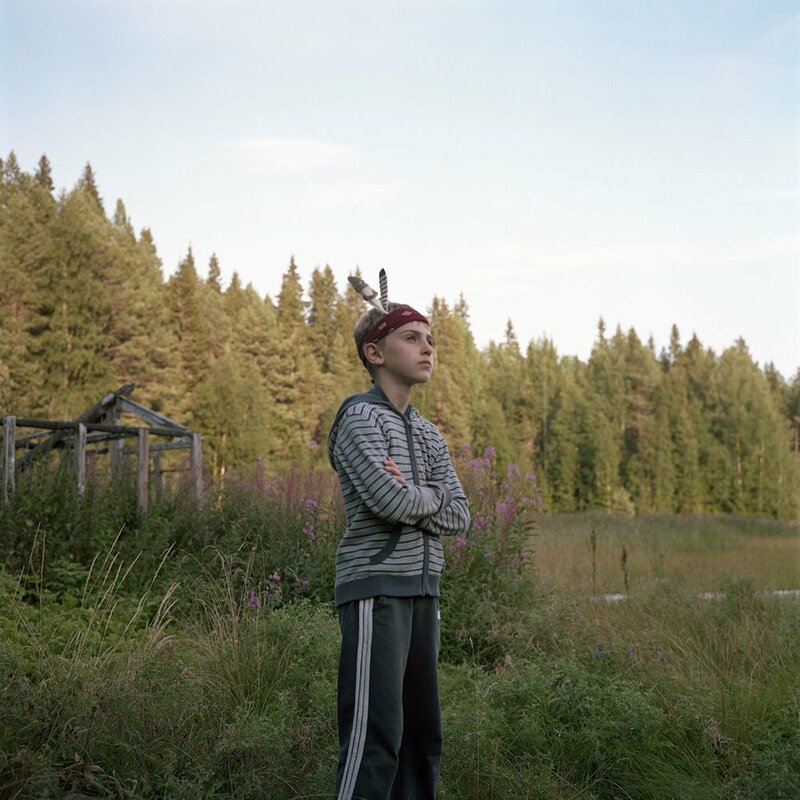 Norwegians themselves rarely venture further than the border towns, usually Zapolyarny. They go to Russia to stock up on petrol (their own costs over 100 roubles a litre) and to Finland for alcohol and cigarettes. A third woman tells me that three of her friends have moved across the border to study in Tromsø, the biggest town in the Norwegian Arctic. Population? 70,000. In Russia, this would probably be a district centre. In Norway, however, it feels like a huge city, especially after Finnmark. Tromsø boasts an old centre and a university; famous hotels, bars and cafes are to be found on either side of the fjord, with a range of comfortable low-rise housing on the island itself. In the border town of Kirkenes, every tenth inhabitant is Russian. Across the county as a whole, or at least in its eastern, Russia-adjoining reaches, signage and notices are written not only in Norwegian and Sami but also in Russian. In Kirkenes even the street signs are in Russian. Stopping for petrol in a small Norwegian village, I happen across a Russian labourer in blue overalls. He’s lived here 11 years and fully mastered the language. His work earns him several hundred thousand roubles a month, and he has no plans to return home. “These lands were once home to Russian Pomors. Who were these people? And what’s happened to them?” Thus reads a Russian-language sign affixed to the wall of an orange wooden museum in the town of Vardø on the island of Vardøya in the Barents Sea. The entrance is shut. A few tombstones lie nearby. Afanasy Ivanovich, Nikinanor Petrovich, names of that ilk. Dates of death: 1897, 1906 and so forth. Right on the ocean shore stands a big Orthodox cross. Norwegians and Pomors traded on this island for centuries. Now all that’s left is a common grave by the sea. A century ago things were much the same. The border here has remained virtually unchanged since the Treaty of Novgorod in the 14th century. Both sides played host to fishing and Sami taxation. According to census data the population of Murmansk Oblast numbered around 20,000 in 1926. By 1939 its population had reached 260,000. The Molochs of industrialisation demanded sacrificial victims. By the fall of the Soviet Union the arctic regions were home to a million people, packed into those same hurriedly assembled grey boxes amidst the icy desert. Nothing has changed since. They recently tried building villas outside Murmansk, but no one’s bought them and they’ve gone to pot. The fjords are never called fjords, and no tourists flock to them. Their waters aren’t bobbing with boats and yachts: bureaucracy makes fishing impossible. The regional centres are waste lands, as always (don’t even think about Starbucks); nothing to do but drink yourself silly, at best. Simpler just to leave for Norway — not least because the border is open for locals — than make life more liveable here. Driving up to the border-crossing station and peering into the window, you can’t help but think, Why are we incapable of carving out a proper life for ourselves even on our own land? Perhaps the blame lies with the Soviet experimenters who flung a million people into the Arctic and abandoned them there — having taught them, moreover, that if everything belongs to everyone, it belongs to no one in particular. Why is it that, even today, when they can travel to Norway, no desire stirs them to live in colourful houses and sail their own boats? And if that desire is there, why does it go unrealised? Marina Kovtun keeps being re-elected governor. This problem, as you no doubt understand, isn’t particular to Murmansk Oblast. All this isn’t about Murmansk at all. Vladimir Putin will depart the scene some day, but those boxes in the tundra, alas, shall remain.